In the Mail on Sunday last week, David Rose penned an article pointing out the very sharp decline in RSS land only data to October 2016, indicating that ocean surface temperatures might also cool significantly soon and that perhaps scientists and the media over-played the role of man-made global warming in the spike in global temperatures in early 2016 which were precipitated by the natural warming event of El Nino 2015/16. Predictably, he has been vilified for doing so, called a denier, accused of cherry-picking the data to suit his ‘denialist’ agenda etc. etc. All pretty familiar stuff now to those used to observing the spectacle which is warmist kick-back against any who dare to question any aspect of ‘The Science’. 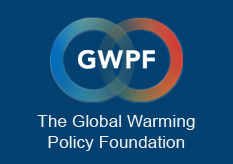 The Guardian, supported by comments from a number of scientists, concluded that the global warming occurring at the time was “shocking” and that it constituted a “climate emergency”. Which is odd because scientists are now publicly criticising Rose for writing an article which basically points out (correctly) that global warming was being hyped as the main cause of the extreme global temperatures in early 2016, using the current precipitous drop in RSS land temperature to back up his claim.